Turn the origami primrose model over. 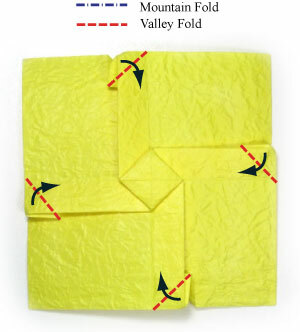 Apply four valley-folds of the step #19. 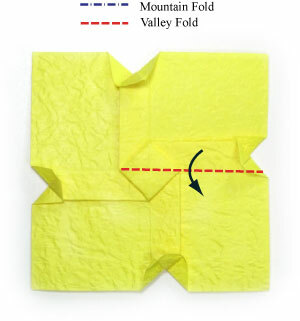 Prepare to apply a horizontal valley-fold to open the 1st quadrant.